While there’ll be games like best beer tee, beer chugging and quizzes as part of the programme, you’ll probably be more interested in the challenge proper. Like last year, beers will be judged in the bottle split in the lager, ale, IPA, Belgian and special (ie. others) style categories and judged by what the press release promises will be an ‘expert’ (we’ve reached out to Raymond to find out who will be evaluating the beers this year – watch this space). Raymond’s also reached out to selected brewers (us included) to contribute kegs for the keg challenge, which will be narrowed down to the best five and voted on by the general public. 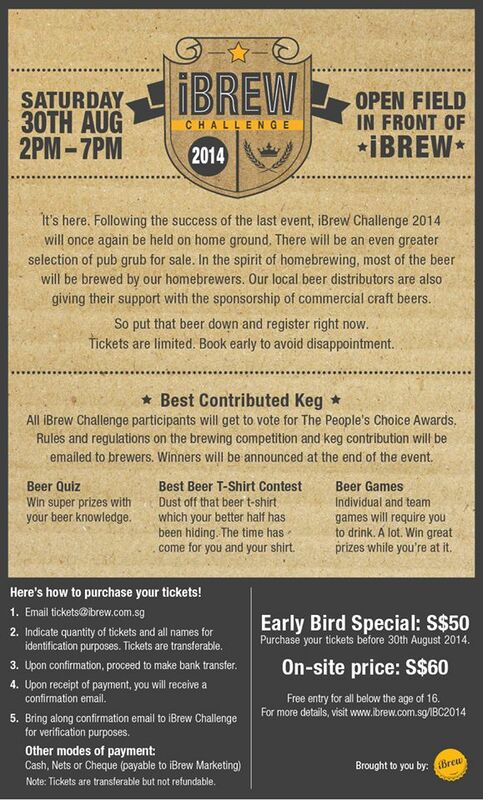 Planning on taking part in the iBrew Challenge 2014? Read about the judging process here. – If you’re entering a beer for judging, you must submit at two bottles (330ml or larger) to iBrew by Saturday, 23 August. iBrew is at 354 Clementi Ave 2, #01-195. It costs $5 to enter. – If you’re attending iBrew as a pisshead homebrew connoisseur, tickets are a hefty $50 (for tickets booked before the 30th of August), and heftier $60 at the door on the day of the event – you’ll get free flow homebrewed beer for the ticket price. We’re pretty excited for the end of August now and can’t wait to see what Singapore’s homebrewers will show off at this year’s gathering. 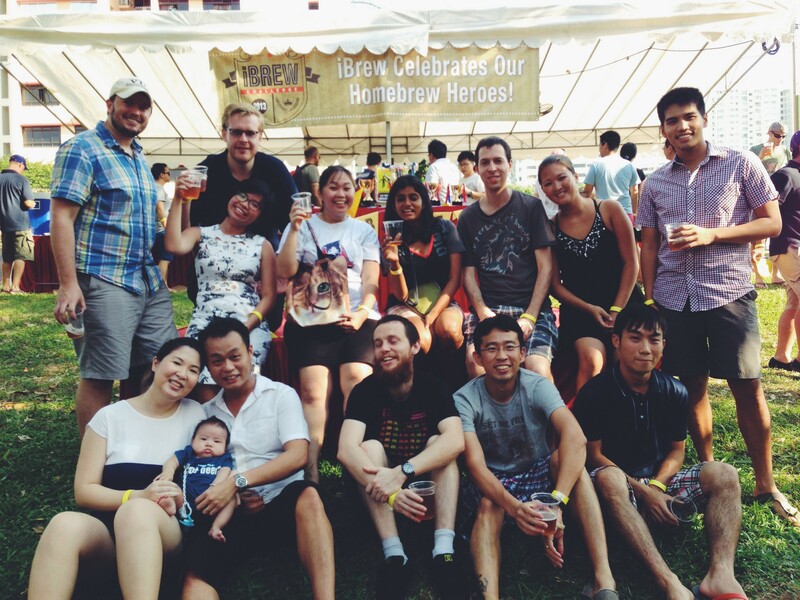 We, too, hope that our homebrew homies will snag the top prizes at this year’s showing – our yeast master, Hong Yee, walked away with Best of Show last year, and John Wei came in tops out of all the ales contributed. Seeya there!